Ruhi, Sam and Kate have spent over a decade building and growing events in Stanislaus County that have amassed huge followings. Over the years, these community organizers and promoters have learned valuable lessons about what it means to enroll people in the message and the work. In this AFP presentation, Ruhi, Sam and Kate will share with us their experiences: the good, the bad and the remarkable, as well as the lessons they've learned along the way about messaging, fundraising, and enrolling people in their cause. AFP membership not required! Come have lunch with us and see what we’re all about! Thursday, May 2, 2019, 12:00 – 1:30 p.m.
AFP Members: $15.00; Non-Members: $20.00 Lunch is included. Register today! at United Cerebral Palsy of Stanislaus! Diversity can mean just about anything and anyone can offer diversity to our community. AFP Yosemite Chapter offers four Diversity Scholarships each year - one per quarter. You are eligile to apply if you've never been an AFP member. If your'e selected from the applicants, you will receive a one year membership to AFP. Our next deadline is mid-June. Instructions are included with the application. Apply now! a group of people living together in one place, especially one practicing common ownership. "the monastic community at Canterbury"
the people of a district or country considered collectively, especially in the context of social values and responsibilities; society. "preparing prisoners for life back in the community"
"writers who shared a community of interests"
"a commitment to the community of goods"
The following Hot Topics articles from AFP Global relate primarily to fundraising, but their basis and content can be applied to any area. Special events are designed to raise awareness of a cause and help to cultivate relationships with donors and potential donors. Although special events tend to be more costly than other fundraising strategies in terms of return on investment, they are often incorporated into the organization’s overall fundraising planning in order to provide visibility for the organization and to provide opportunities to involve people in the organization’s activities. In the nonprofit report provided by Stanislaus Community Foundation the survey focused on nonprofits' ability to plan for long term stability. Many nonprofits may not be aware of how an endowment can help them attain stability, or where to get started. Find out more about endowments. Without community engagement you can't continue running a good community and you won't have any interaction. Communities exist but to identify them, give them a place and involve them, just sharing content is often not enough. Community engagement depends on the benefits for the members constituting it. Here are some techniques to start building community engagement and more important, to keep it going. 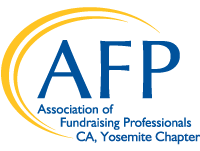 Throughout the year, AFP Yosemite Chapter offers a variety of education sessions to help its members grow as fundraising professionals. Check out these upcoming events and mark your calendars! The 2019 schedule of events will be available soon. AFP Yosemite Chapter welcomes our newest member: Karen Bottler of United Cebral Palsy Association of Stanislaus County. Have you made a gift to AFP Foundation's Be The Cause yet? Please consider giving now! 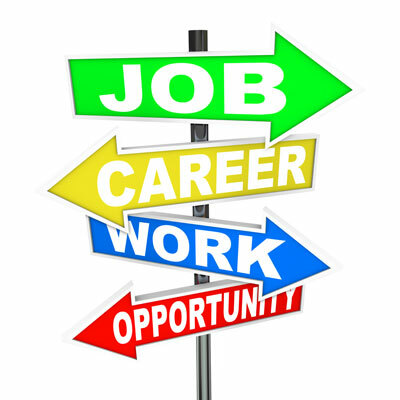 AFP Yosemite Chapter occasionally is informed of job openings that we have agreed to post on our website. Our Chapter includes members from Stanislaus, Merced and San Joaquin Counties. Do you have an opening? Post on our website! 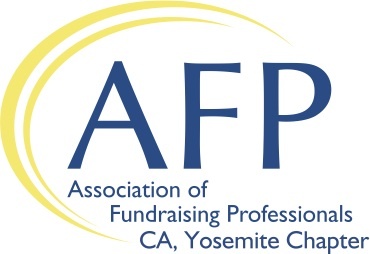 AFP Yosemite Chapter wants to help you spread the word about your upcoming events. Do you have an event you'd like to share? Please send the information to afpyosemite@gmail.com and we’ll post it right here in our monthly newsletter. Please send your request at least 45 days prior to the event so we can make sure it's published in time. This is the Stanislaus Library Foundation's annual fundraising event. A local auther and his/her work will be featured. Food and beverages will be served. Sponsorship and tickets will be available in the spring. Save the Date! If you register for the meeting and pay in advance via Paypal and are unable to attend, you will NOT receive a refund for your payment. If you register in advance without paying and are unable to attend, you will be billed for lunch via PayPal invoice, due and payable on receipt. If you register and pay in advance but inform us of your inability to attend before the RSVP deadline we will refund your payment. Under the same circumstances if you don’t pay but let us know before the deadline, you will not receive an invoice. We will not carry over your payment to the following month’s meeting. You may designate another to attend in your place in order to retain the value of your registration. In the case where a non-member substitute is designated, that person must pay the balance of $5.00 to attend. Walk-ins, please note: Preregistered attendees will be given priority for lunch. If you don't register in advance, we are unable guarantee adequate food for everyone. You will be charged to attend.